A bit of a rhetorical question, I agree, because this blog already has a name. But what "type" of blog is this? 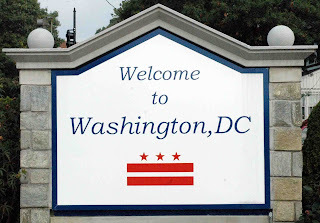 I really don't know--at this point I've moved across country (out of the only city I've ever lived in) to my favorite city in the U.S.--Washington D.C. I'll wait for you to say "Huh, never heard that before", because honestly, it's not usually everyone's favorite city. It's full of history and politics and museums that you were dragged to on family vacations. And I wish I could really say why this city captured my heart so long ago. But it's something I can't put my finger on--yet something that is validated almost every day that I'm living here (eeeeek, I live here, it still doesn't sink in all the time).